Please contact Sharon (sharonk@austinsiameserescue.org) for more information about this pet.Sweet and very , very happy to be out of a very bad shelter. 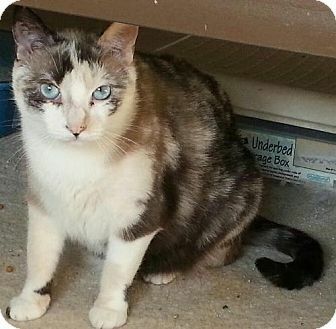 She would like a quiet gentle home where she can purr for you and be your friend. She craves attention and will give lots of love back, but wants to come to you first.Visit this organization's web site to see any additional information available about this pet.